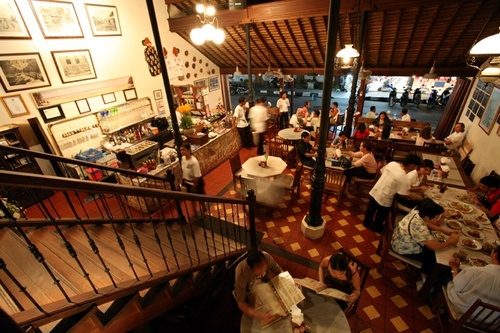 The second Made's Warung, in Seminyak, has become a social eating and meeting venue for locals, expats and tourists alike. Nobody hurries off too quickly, the menu is that good. Besides local dishes like the iconic Nasi Goreng, sometimes with tasty extra ingredients, to curries, noodles (mie) and even choices for vegetarians. Curry experts have a choice of curried vegetables, chicken, beef, crab, fish (ikan). Vegetarians also have a large choice: Rujak, lumpia, fried green vegetables, gado-gado, full noodle list.